When architect websites can be accessed via mobile devices, there is an increase in the total number of visitors to the site. This is because the people who couldn’t access the site before are now able to log in and view the sites’ content. An increase in traffic will definitely increase the exposure of that firm leading to more clients and business. A mobile friendly website can be accessed from any place and at any time provided you have a mobile device and internet connectivity. This is very important for architects who might find it urgent to respond to client’s inquiries on the website when they are out in the field. They will simply do it right from the field without necessarily coming back to the office to use their office computers. Search engines like Google have a special preference for mobile friendly websites. In most cases, the will reward such sites with good ranks on the search engines. 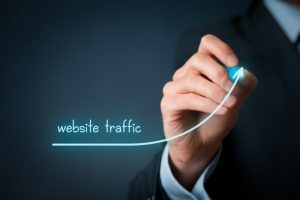 When this happens, the website won’t just get increased exposure but also get lots of quality targeted traffic which might convert into leads and new clients. Every website in the internet admires free organic traffic and if you want the same for your architect websites, then you have to make them mobile friendly. Websites that are not user friendly offer very poor user experience. For instance, they will send broken URLs and distort images and the other content when viewed on mobile devices. Most users will be irritated by the poor user experience and may not come back to that site again. This is not just loss of exposure but also quality visitors which might have turned into customers leading to more business for the architect. Responsive websites are generally lightweight and will render very fast when viewed across multiple devices. This will enhance the user experience since users will not have to wait for a long time before they receive the contents of the website. It’s also important to note that most architect WordPress themes are lightweight hence you won’t have to do a lot of modifications to make the websites user friendly. 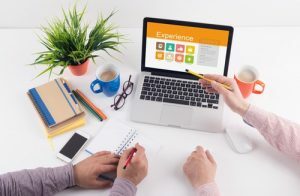 These are just but a few of the reasons why it is imperative for every serious website to be user friendly. Visit http://www.pixelatewp.com for responsive WordPress design services and lots of nice architect WordPress themes.